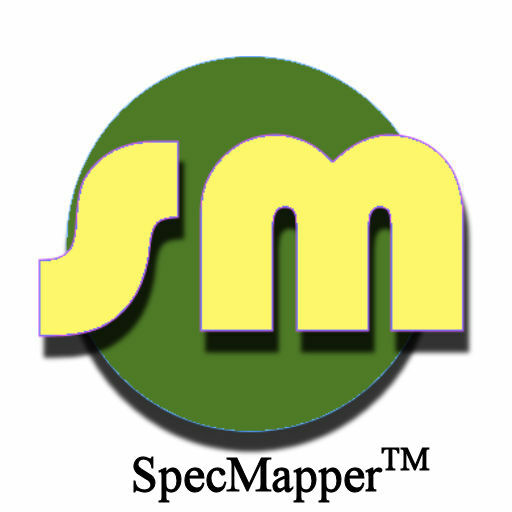 SpecMapper™Software for any application to map from Assembly Code to the MasterSpec specification section. This Excel version provides the mapping Assembly Codes used in building information modeling (BIM) to the MasterSpec specification sections. This Excel version saves significant spec office personnel time to create and consolidate all of this information into one location and has the added benefit of allowing the spec writer to efficiently reuse (without recreating) some or all of the information as needed on other projects. The Assembly Codes are listed in column A of the spreadsheet with the associated MasterSpec specification sections listed in each row for each Assembly Code. The Masterspec specification sections are identified by the numerical code used for section numbering. This data allows you to easily and quickly map from a list of Assembly Codes to the associated Masterspec specification sections. However, the specifications manual for a project has to be generated manually, utilizing the information in this mapping. One license permits your whole firm to access and use this Excel version. Operating requirement(s): Microsoft Excel software installed on your computer. This Access version provides a much more user-friendly interface to map an Assembly Code to the MasterSpec specification sections, through a query format. You simply select the Assembly Code from a drop-down list, and the screen shows you the associated specification sections in MasterSpec, again identified by the numerical code for section numbering. This Access version also saves significant office personnel time to create and consolidate all of this information into one location and has the added benefit of allowing the spec writer to efficiently query and reuse (without recreating) some or all of the information as needed on other projects. Similar to the Excel version, (a) this data also allows you to easily and quickly map from a list of Assembly Codes to the associated MasterSpec specification sections, and (b) the specifications manual for a project has to be generated manually, utilizing the information in the database. One license permits your whole firm to access and use this Access version. Operating requirement(s): Access software or Access database engine software installed on your computer. This SpecMapper™ e-Specs Binding Data Set version is the most advanced and efficient version that will save you even more labor time and money in developing your building proposals. It is all set up for you and ready to use in your e-Specs for Revit software. This SpecMapper e-Specs binding data set is a data file that is plugged into the e-Specs automated specifications generation software. However, if your BIM software uses a set of custom Assembly Codes, you may have to synchronize those Assembly Codes with the Uniformat Assembly Codes text file included with this version to make sure the mapping works correctly with your custom Assembly Codes. One license permits your whole firm to access and use this e-Specs Binding Data Set version. This e-Specs Binding Data Set version can reduce the time to produce a specification manual by over 50%. See what one user had to say about it. "Using e-Specs for Revit has enabled us to produce Project Manuals more quickly, consistently, and accurately. It takes away formatting headaches so that we can focus on content. And by mapping specification sections to assembly codes in the Revit model, we can generate a Project Manual that is better coordinated with the drawings." Donna Marshall, Technical Writer, the RLE Group. An End User License Agreement (EULA) is required for each version. A copy of the EULA is enclosed for your review or you can check it out at XXXXXX RF website. The license restricts that these versions can only be used by someone within your architectural firm and cannot be transferred or used in any manner outside of your firm. Please fill out the order form indicating the version you desire. Return it with the corresponding payment to the NDSU Research Foundation.